Eugenia Carter was born on April 21, 1930 in Kansas City, Missouri to the proud parent of Reva Smalls (Vann) and Samuel Smalls. She was the one of eight children. Eugenia grew up on the East End of Kansas City, Missouri and attended Kansas City Public Schools (Bruce Grade School and Lincoln High School) where she met many of her lifetime friends. Eugenia married Walter E Carter on July 24, 1947, they were married for 45 years until he went home to be with the Lord. Within this union six children were born; Jerome Walter Carter, Sanford Earl Carter, Sedric Ross Carter, Van Carter, WaLisa M Parker, and DeLeo Norverlla Wash. Eugenia was a loving devoted wife, mother and grandmother who extended charity and hospitality to so many. Throughout each day she found joy and comfort in praying and talking to God. Eugenia accepted Christ as her personal Lord and Savior at an early age and was a devoted member of Galilee Baptist Church, since 1985. In her early years, she could be found cleaning the church, which she took great pride in. She also loved playing the piano and helped with the development of the Children's Choir. Eugenia had the heart of a servant and sung in the Senior choir and eventually became a member of the Motherboard. Another role she took great pride in. Eugenia was considered a narrator of life, with a wealth of knowledge and history for so many. She was the connection for her community and family until the day she was called to Glory. She will always be remembered as the glue, the rock, a bridge, the soft place, a friend, a comrade, confidant, and a constituent. There are not enough words to describe her essence. She loved music, dancing, and good company. A bold, beautiful, transparent, and truthful woman. Eugenia walked among us with an amazing smile and spoke with a deep resounding voice, that commanded attention. Her sense of humor often provided laughter in place of sorrow. She will be greatly missed and forever celebrated in our hearts. 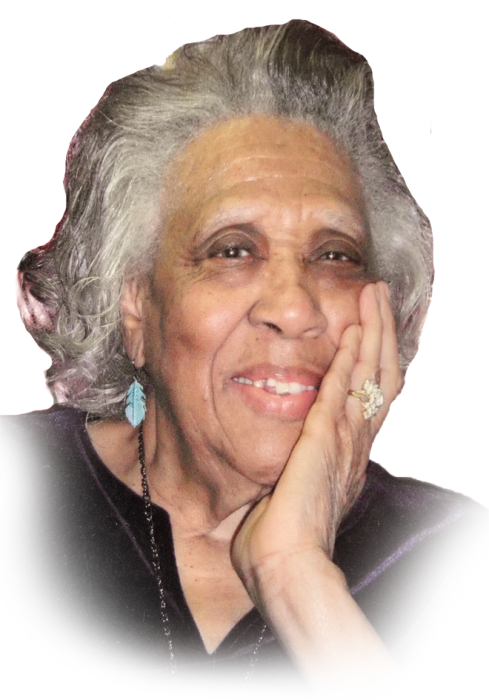 On January 24, 2019 at the glorious age of 88, Eugenia Carter departed this earthly life for her heavenly home. She was preceded in death by her husband (Walter), parents (Reva and Samuel) one daughter (DeLeo), three sons (Jerome, Sanford, and Sedric) three brothers: Samuel Jr., Albert and Vincent Smalls; one grandson, and one great- grandson. Leaving to cherish her memory are: her son Van Carter (Michelle) of Raytown, Missouri, her daughter WaLisa M. Parker (Ralph) of Kansas City, Missouri, her daughter-in-law Dorothy Carter, her brother Edward Smalls, two sisters (Betty Rose Smith and Joan M Williams). Sixteen Grandchildren, Thirty great- grandchildren, Twelve great-great-grandchildren and a host of family and friends.